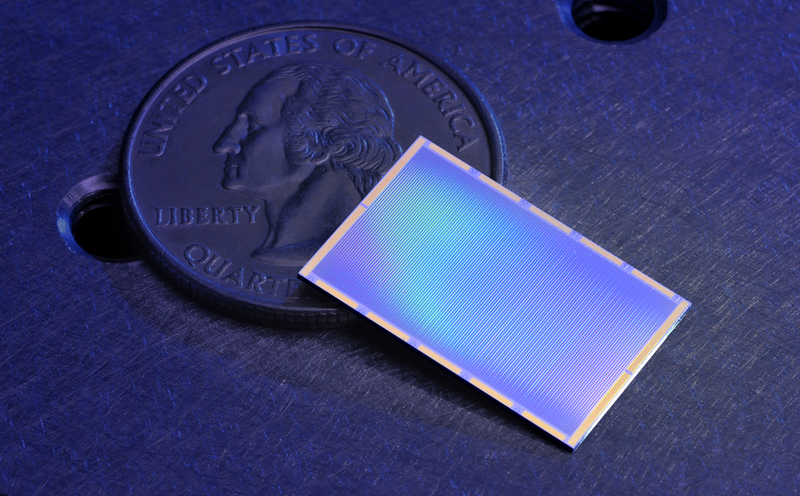 10,000 pixel MKID (Microwave Kinetic Inductance Detector) array designed in Ben Mazin's lab. These detectors can detect arriving photons' arrival time, frequency, and location. 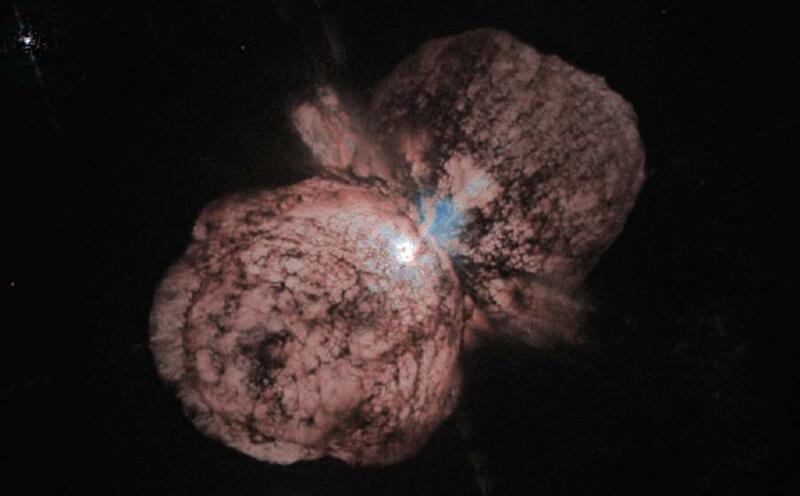 Researchers in Lars Bildsten's group try to understand how massive stars like Eta Carina, pictured here, lose mass in dramatic events before they die as supernovae. 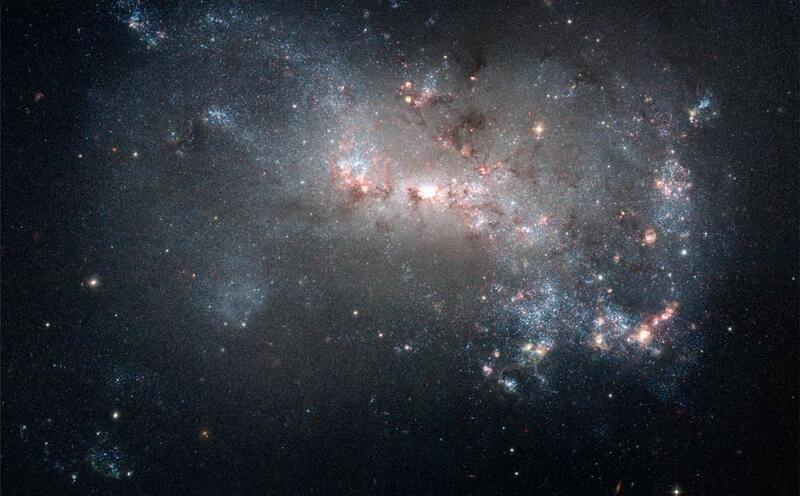 In starburst galaxies, stars form at a rapid rate, many of which quickly die in supernovae. Crystal Martin and her group study how this feedback affects galactic evolution. 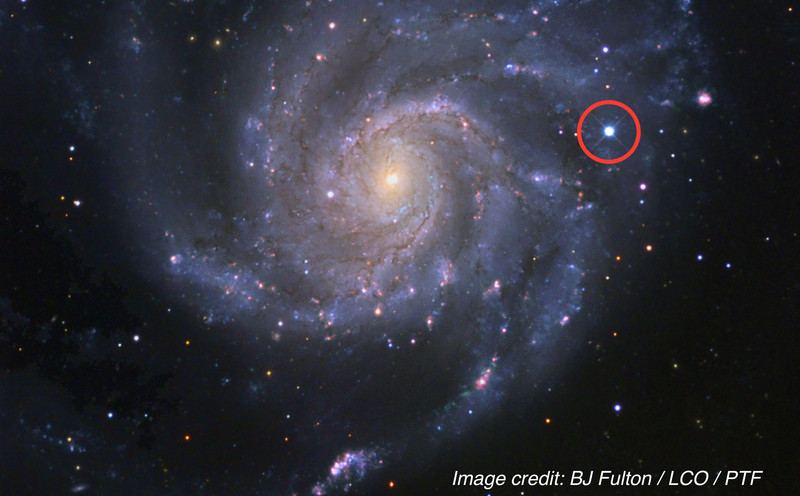 Andy Howell's group studies supernovae like SN 2011fe (in the Whirlpool galaxy, circled in red) and other explosive transients using Las Cumbres Observatory, a global robotic telescope network. 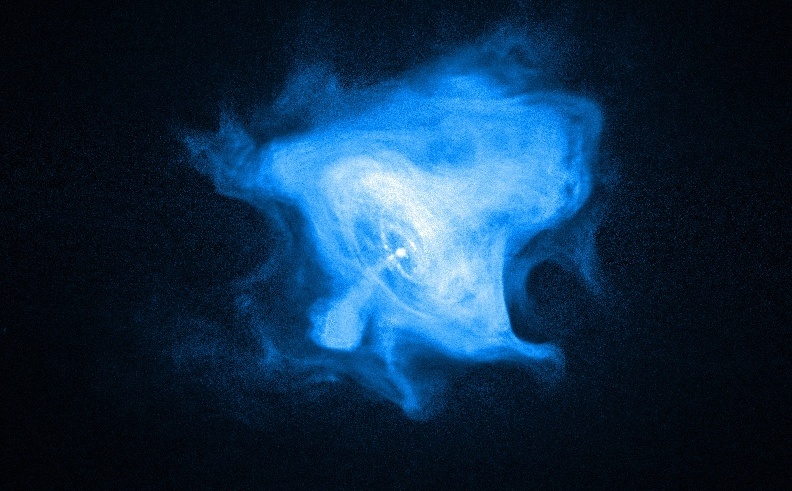 Pulsars are rapidly rotating neutron stars that emit extremely uniform pulses of light. Carl Gwinn studies how these pulses evolve as they travel across the interstellar medium. Robust curricula tailored for undergraduate and graduate students interested in astronomy and astrophysics. Close ties to Las Cumbres Observatory, the Kavli Institute for Theoretical Physics, and the renowned Keck observatory.